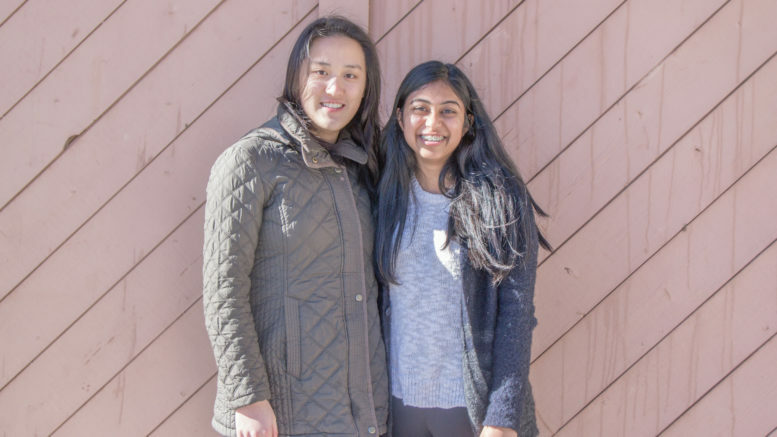 Seniors Catherine Zeng and Jessika Baral are two of the 300 Regeneron Science Talent Search semifinalists recognized on January 4. In addition, Baral was named on January 24 as one of the 40 finalists who will go to Washington, D.C. from March 9 to 15 to present their projects. The two seniors have received an award of $2,000 each, and another $4,000 will be granted to MSJ. As the oldest and one of the most prestigious science competitions in the nation, the Regeneron Science Talent Search (previously known as Intel Science Talent Search) aims to recognize original research projects of high school seniors. The applications, which opened in June 2016, required students to submit responses to essay questions as well as questions pertaining to the research project, recommendations, and a transcript. Semifinalists were announced in early January, and finalists were announced three weeks later. Finalists will be given the opportunity to present their projects in March to nationally recognized professional scientists in Washington, D.C., as part of the final judging. Established in 1942, the Science Talent Search has come a long way; its first partnership was with Westinghouse Electric Corporation until 1998, when Intel took over the program. After 2016, the competition’s sponsor changed again from Intel to Regeneron Pharmaceuticals, a biotechnology company headquartered in New York. Regeneron has committed $100 million to this competition, and will be the sponsor until 2026. Meanwhile, Baral integrated artificial intelligence with cancer therapy in her project, “Machine Learning Tool for Detection of Small Cell Lung Cancer Stage Using Novel Nuclear Factor I/B Expression: Significantly Increase Patient Survival in Less than One Minute.” Focusing on small-cell lung cancer (SCLC), so named for its characteristically quickly-growing and rapidly-spreading tumors in the lungs, Baral built software to identify the stage of SCLC based on the extent to which the Nuclear Factor I/B gene is expressed. Doctors can potentially use this tool to cheaply and effectively diagnose the cancer in its early stages. The Regeneron Science Talent Search encourages participants to change lives through their pursuit of the sciences. For details on how to enter next year’s competition, please visit https://student.societyforscience.org/apply-science-talent-search. Be the first to comment on "Seniors Excel in Regeneron Science Talent Search"